Color tones for all Roses and Flowers may vary due to the computer monitor and/or Mother Nature. Our Wedding Combo D.I.Y. Forever is an alluring selection of 520 flowers. This splendid combo contains; 200 stems of Roses your choice of colors, 60 stems of Spray Roses 1 choice of color, 10 stems of Hydrangeas 1 choice of colors, 100 stems of Carnations your choice of colors, 150 stems of Snapdragons your choice of colors and 2400 stems of Rose Petals 1 choice of colors. Vases are not included. 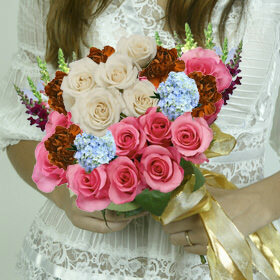 You have a total of 8 colors (25 roses per bunch) to choose. 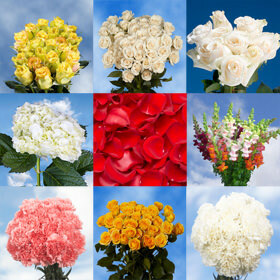 Choose the color of your Carnations. 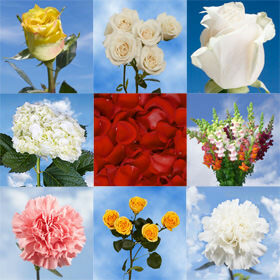 You have a total of 4 colors (25 stems per bunch) to choose. 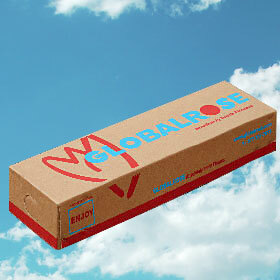 Choose the color of your Rose Petals (1 choice of color). 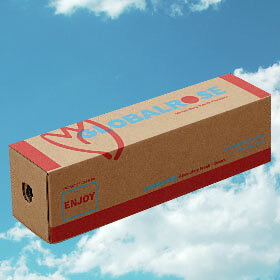 You have a total of 1 colors (2400 petals) to choose. Choose the color of your Spray Roses (1 choice of color). We have Wedding Combo D.I.Y. Forever available for you to order. You need your wedding flowers to be beautiful, vibrant and fresh. 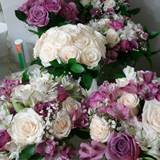 Our Wedding Floral Supplies Spray Roses Hydrangeas Carnations Rose Petals are available for immediate delivery. When you're celebrating your wedding, you want a flower that matches the happiness of your celebration. We carefully grow our flowers for our Wedding Combo D.I.Y. 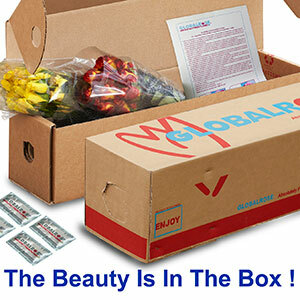 ForeverThere is never a need to worry about quality when buying flowers for delivery online with us. We guarantee the freshness of our Wedding Floral Supplies Spray Roses Hydrangeas Carnations Rose Petals We make the task of ordering flowers for delivery for your wedding quick and easy. 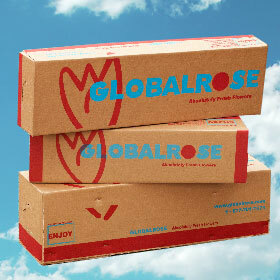 All of our flowers are grown in our eco-friendly greenhouses, where we carefully nurture and develop all of our flowers. 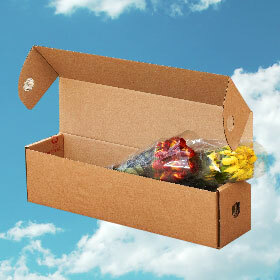 You are guaranteed freshly cut flowers when ordering with us. These Wedding Floral Supplies Spray Roses Hydrangeas Carnations Rose Petals area great addition to your wedding decor. My wedding flowers made from your Wedding Combo DIY Simple package with Cool Water and Vendela Roses. They turned out beautiful and I still have a centerpiece that will probably last a few more days.